28117 NETPL1261.jpg 500X638\NETPL1261.jpg 39549 NETPL1261_1.jpg 500X638\NETPL1261_1.jpg Send A Hint! 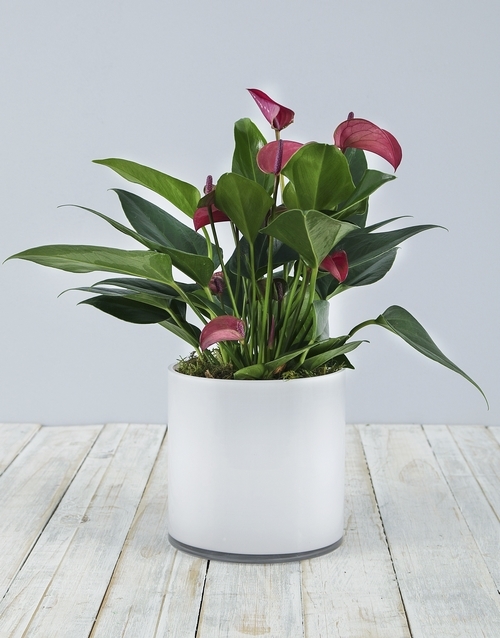 Product Description: less text Say it best with a gorgeous red anthurium plant which comes displayed in a solid white cylinder vase with moss. It's beauty will bring a smile to anyone's face, so send now! 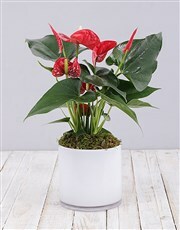 Flower Arrives in bud. Get this Anthurium In White Cylinder Vase delivered with NetFlorist.